You don’t have to worry about missing leads anymore. 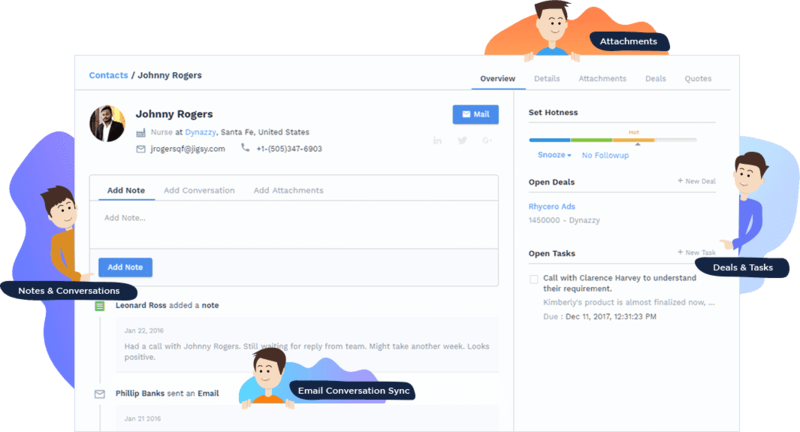 Manage sales, customer support, and marketing all in one platform. Make your customers coming back for more. Outbound and Inbound text messages & emails with skilled based routing and automated distribution. Your support staff can easily generate sales opportunities by offering instant customer support. All your contacts will be accessible at one place with updating of actionable data in real time. Maintain deeper insight into your prospects and customers, including their purchase behaviors, interests, and interactions with your products/services. update that profile in your CRM.